Hello! Can you tell us a bit about yourself? 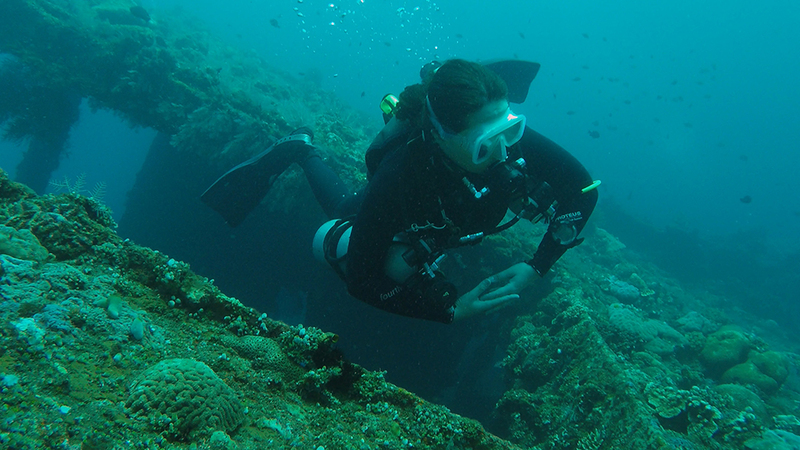 I am a Clinical Psychologist and PADI IDC Staff Instructor, when I’m not diving, I’m usually thinking about diving! 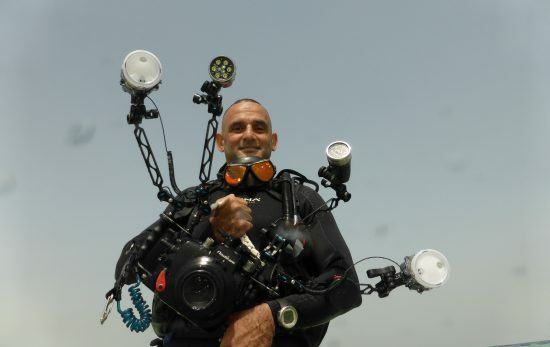 I’m interested in how psychology can help us to understand what we do as divers. I chose to study Psychology at university because I was fascinated by the idea that we can explain and predict human behaviour through scientific research. As a Clinical Psychologist in the National Health Service I worked with people experiencing anxiety, depression, psychosis and trauma-related conditions. I’ve also worked with people with learning disabilities and developmental conditions like autism, physical health conditions and mobility impairment, brain injury and neurological illness. 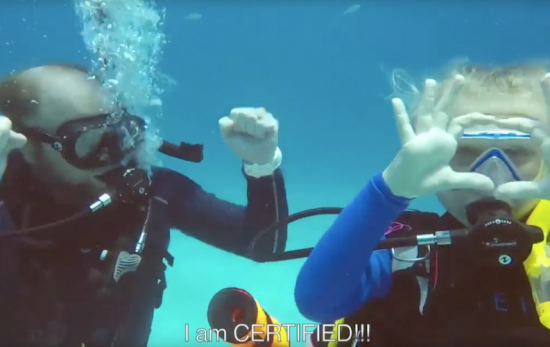 How did you get into scuba diving? Becoming a Clinical Psychologist takes time and persistence, getting onto training is competitive and can consume your life if you let it. So I took a break from studies to travel the world. I was on my way around Australia and couldn’t miss the chance to visit the Great Barrier Reef. I’ve always loved being in water but, at that time, was pretty nervous about the things that live in the sea. 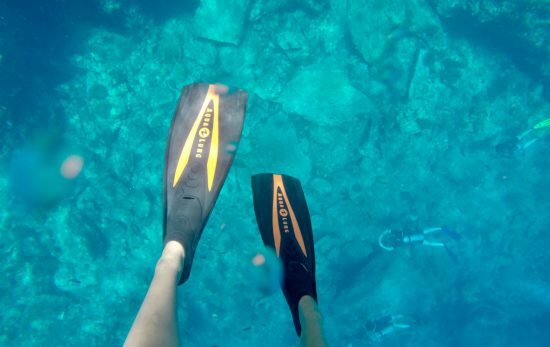 I’d only intended to do some reluctant snorkelling, however, there was an offer to take the PADI Discover Scuba Diving course, and I decided you have to try everything once! 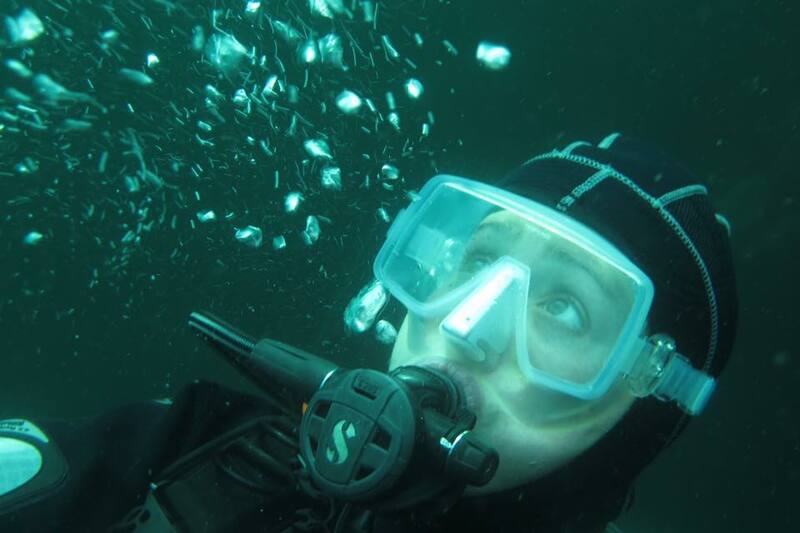 I remember the excitement of breathing underwater for the first time, and that it took a few moments to get my head around the idea of leaving the surface, but once I got under the water I was captivated. My whole perspective on the world shifted, and I realised there was a lot more I wanted to see. I learned to scuba dive in Fiji, and then dived my way around the rest of the South Pacific Ocean. When I got home, I found out I’d been successful in getting a place to train as a Clinical Psychologist in Scotland. I couldn’t stop thinking about being back in the sea, so I joined the club at my local dive centre, Deep Blue Scuba in Edinburgh. I took the PADI Dry Suit course and got to explore our amazing British waters. From there, I just kept on diving and training. 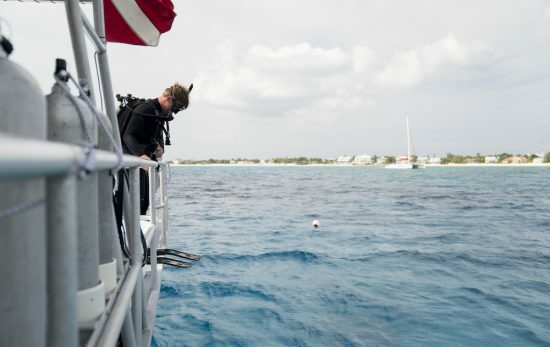 I would never have expected to become a dive professional, but by working through the courses and experiencing a range of diving conditions I was able to expand my confidence and I wanted to keep learning. Since about 2012, when I started Divemaster training, most of my weekends were spent diving with the club. When the owner decided to move on, several of us bought the centre on behalf of the club. 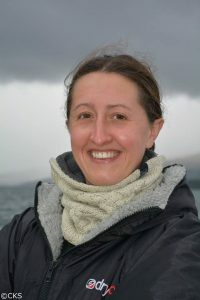 For a couple of years I was balancing my career in psychology with the management of training at our busy dive centre. Did this affect your career plans/life trajectory? Yes, definitely! I enjoyed being a Divemaster, and for a while I was happy assisting on courses and generally being part of the team. But once I had got the hang of that, I started to get curious about the teaching process. I watched the different instructors and how they worked with their students. I noticed the psychology in how they taught. I joined an Instructor Development Course and took my IDC with a brilliant group of people who were enthusiastic about learning. 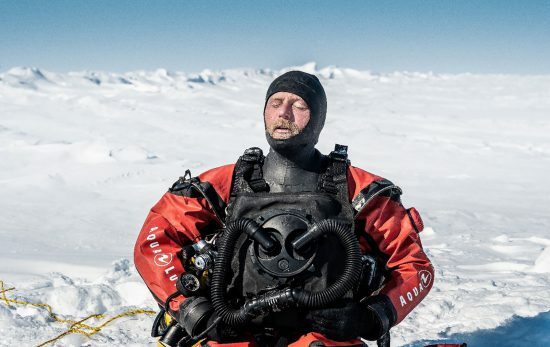 Working with divers more actively, my interest in the psychology of diving grew to the point I wanted to share it with other divers. In 2015 I wrote the PADI Psychological Diver Distinctive Specialty. Right now, I’m writing about psychology in diving while I travel. I’ve left the clinic for a while to spend more time in the water, diving and teaching. Eventually I’d like to do more focused research in dive psychology. As instructors we take our students into an environment that can be daunting and we help them to develop the skills they need to dive safely. I’m passionate about the professional aspects of a career in the diving, where we see the difference diving makes to people every day. How does being a psychologist influence the way you teach? When I teach scuba diving, I’m an instructor, I follow the relevant PADI course structure and standards. As a psychologist I have the advantage of recognising the educational and psychological theories used to create effective, accessible courses. I know the importance of creating an effective learning environment where people are safe to play with the new skills, make mistakes and practice correct techniques. I like to get students thinking like divers, so that they will be active in their own diving. Breaking information down and working at the right pace for the student is essential. I see the PADI system of education like a jigsaw, people become divers by putting the puzzle together a piece at a time. In any learning journey we can get stuck. Instructors learn a lot about human behaviour from their students, we all gather experience and build our own ways to help students overcome difficulties. When you become a dive professional, you gather a lot of expertise in dealing with logistical issues or fixing problems with kit. In kind of the same way, I can understand what the mind does when it gets stuck and how that keeps the problem going. I can access techniques and knowledge to find out what is going on, and plan a way forward. What is it about the psychology of scuba diving that interests you? Everything! How our brains work underwater, how we think under pressure and the influence of narcosis. The way we react to stress and how we can change our responses through training. Also, the way that diving can change the way we think about ourselves and the world. At the heart of it, I think that knowing what pushes and pulls our behaviour as humans can help us to take conscious control of what we do as divers. 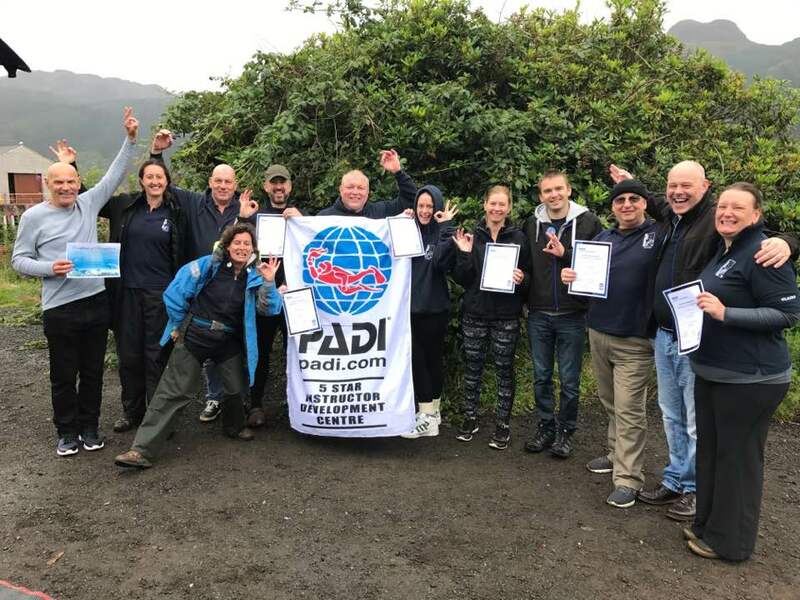 Find out more about becoming a PADI Pro here.